I need someone with good knowledge of Internet marketing/SEO to help us collate some reports. For all the website categories listed below, please list the top websites (10 - 20 if not specified) in each category, please only list the most common + High PR websites. If you get you list from a website, please do add the link to the report for reference. I don't mind you copying the details from websites but confirm the credibility of the source and if possible, compare more websites. 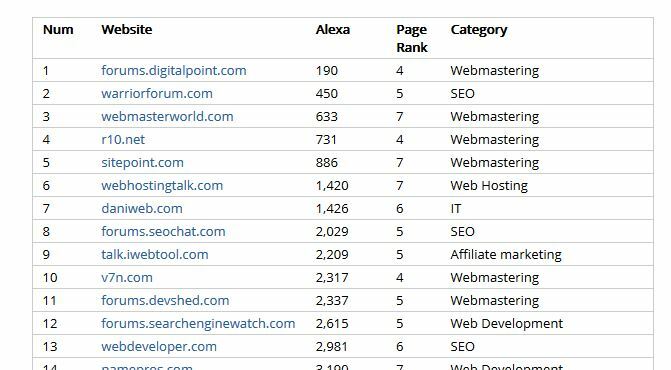 Please bullet or tabulate each websites under each category stating the website, Alexa ranking and page ranking. Please do contact me should you require more information/clarification. for $10, we can provide high quality well-research work and provide report of all the high pr websites. please contact us asap if you are interested. hi, i searched for the sites and already gathered the lists. can deliver within an hour upon hiring. all i need to do is to compile them into an excel sheet. i have worked as a researcher and can complete the task and deliver the report. i will do a quality research on websites and do a report and ranking on them. we will provide you in this rate in excel sheet . if you want , then please order this .